The most popular vocal score for Gilbert & Sullivan's Trial by Jury is shown below. 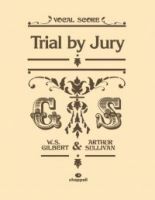 The Faber edition of Gilbert and Sullivan's Trial by Jury is in English. Trial by Jury is a comic opera in one act, with music by Arthur Sullivan and libretto by W. S. Gilbert. It was first produced on 25 March 1875, at London's Royalty Theatre, where it initially ran for 131 performances and was considered a hit, receiving critical praise and outrunning its popular companion piece, Jacques Offenbach's La Périchole. The story concerns a "breach of promise of marriage" lawsuit in which the judge and legal system are the objects of lighthearted satire. Gilbert based the libretto of Trial by Jury on an operetta parody that he had written in 1868. The opera premiered more than three years after Gilbert and Sullivan's only previous collaboration, Thespis, an 1871–72 Christmas season entertainment. In the intervening years, both the author and composer were busy with separate projects. Beginning in 1873, Gilbert tried several times to get the opera produced before the impresario Richard D'Oyly Carte suggested that he collaborate on it with Sullivan. Sullivan was pleased with the piece and promptly wrote the music. 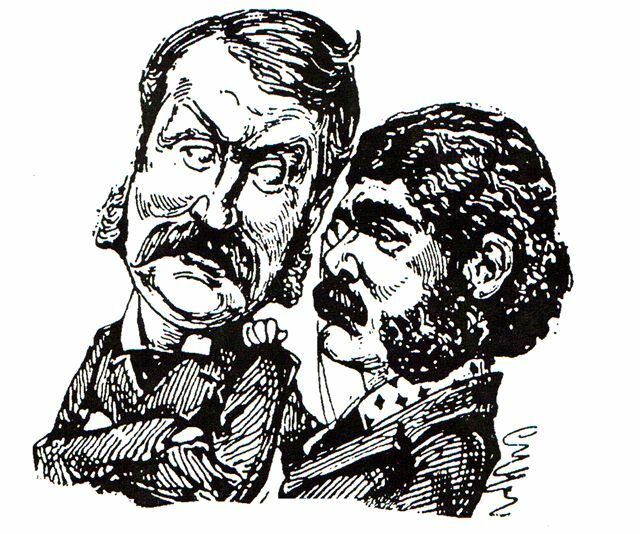 As with most Gilbert and Sullivan operas, the plot of Trial by Jury is ludicrous, but the characters behave as if the events were perfectly reasonable. This narrative technique blunts some of the pointed barbs aimed at hypocrisy, especially of those in authority, and the sometimes base motives of supposedly respectable people and institutions. These themes became favourites of Gilbert through the rest of his collaborations with Sullivan. Critics and audiences praised how well Sullivan's witty and good-humoured music complemented Gilbert's satire. The success of Trial by Jury launched the famous series of 13 collaborative works between Gilbert and Sullivan that came to be known as the Savoy Operas. After its original production in 1875, Trial by Jury toured widely in Britain and elsewhere and was frequently revived and recorded. It also became popular as a part of charity benefits. The work continues to be frequently played, especially as a companion piece to other short Gilbert and Sullivan operas or other works. According to theatre scholar Kurt Gänzl, it is "probably the most successful British one-act operetta of all time".